Loto-Quebec, a Canadian state-run provincial lottery operator, is well on its way to providing an online portal for its gambling customers to buy their quick fix tickets. Fans of the draw games Lotto Max, Lotto 6/49, Quebec 49, Banco, and Extra will be able to start purchasing tickets from Loto Quebec’s portal site, EspaceJeux.com, as of August 27th, 2012. While EspaceJeux.com launched way back in November 2010, the rest of the effort has been gearing up for the consumer trend toward online transactions. 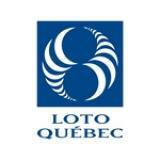 According to an article from iGaming Business, Loto-Quebec Initiates Online Lottery Sales, Loto-Quebec believes that “consumers who buy lottery products online using their computer, smartphone or tablet computer will notice the advantages and user-friendliness of Loto-Quebec’s site.” Users will have the ability to keep updated on all of their favorite games and draws, including the results of bets they placed and the games they favor. In Canada, being able to place lottery bets online isn’t anything new. Atlantic Lotteries Corporation and the British Columbia Lottery Corporation have been issuing lottery tickets online for several years, with much success and popularity. Looks like a win-win for Quebec, although we’ll know more come August 27th.